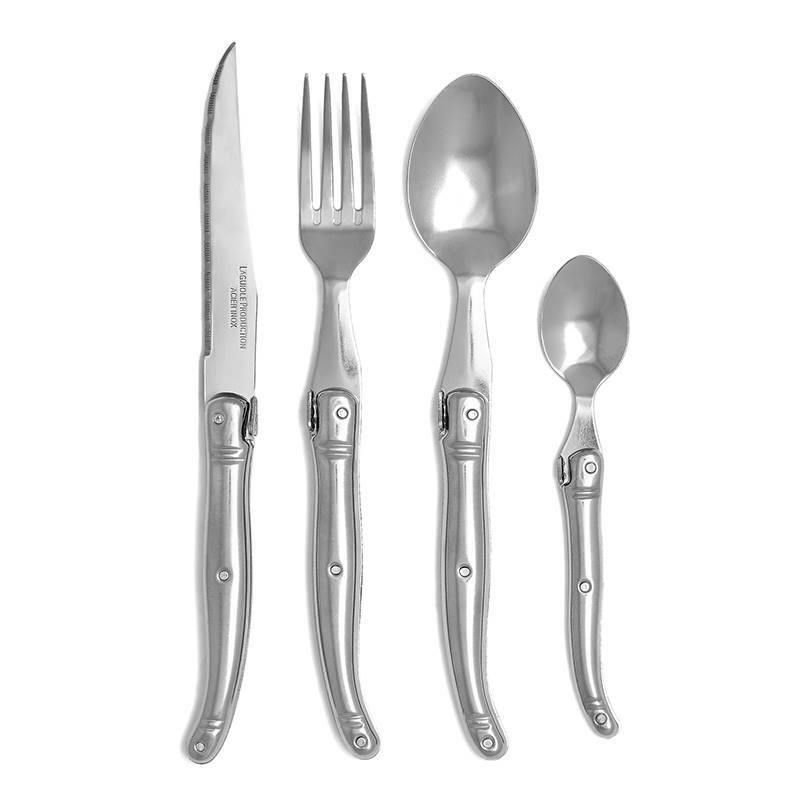 The flatware has a stainless steel blade famous for its shock-resistance. 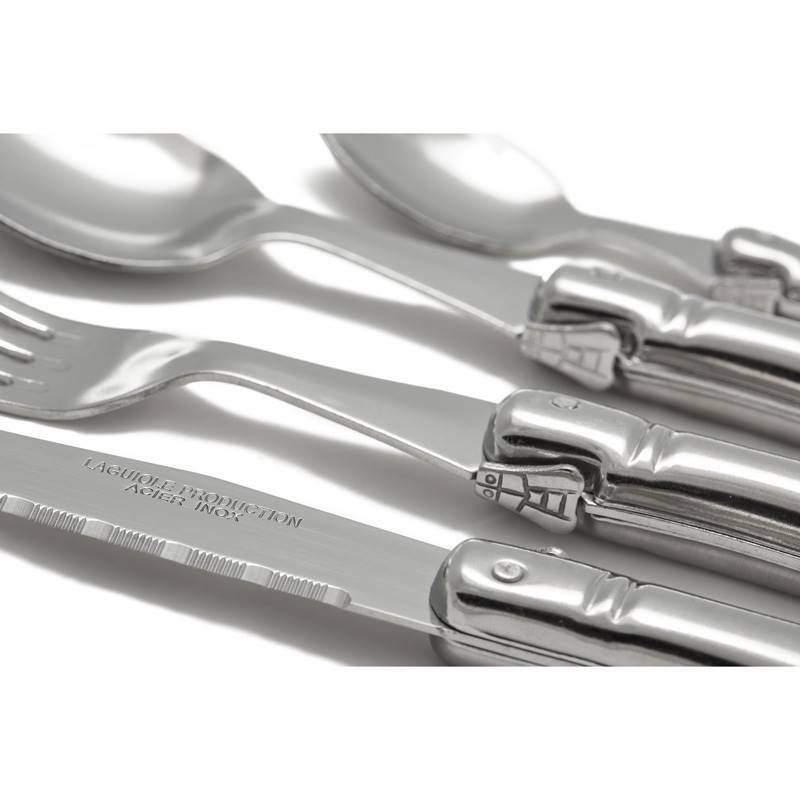 The 24 pieces that composed this Laguiole Production cutlery set enable to lay a very elegant table for 6 guests. 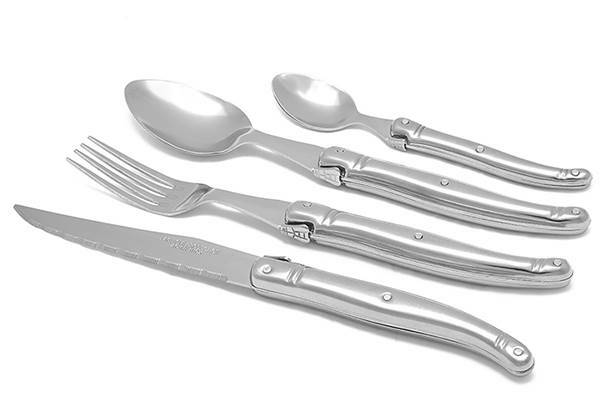 It is a perfect match for the Laguiole Evolution cutlery with red or blue acid colours. 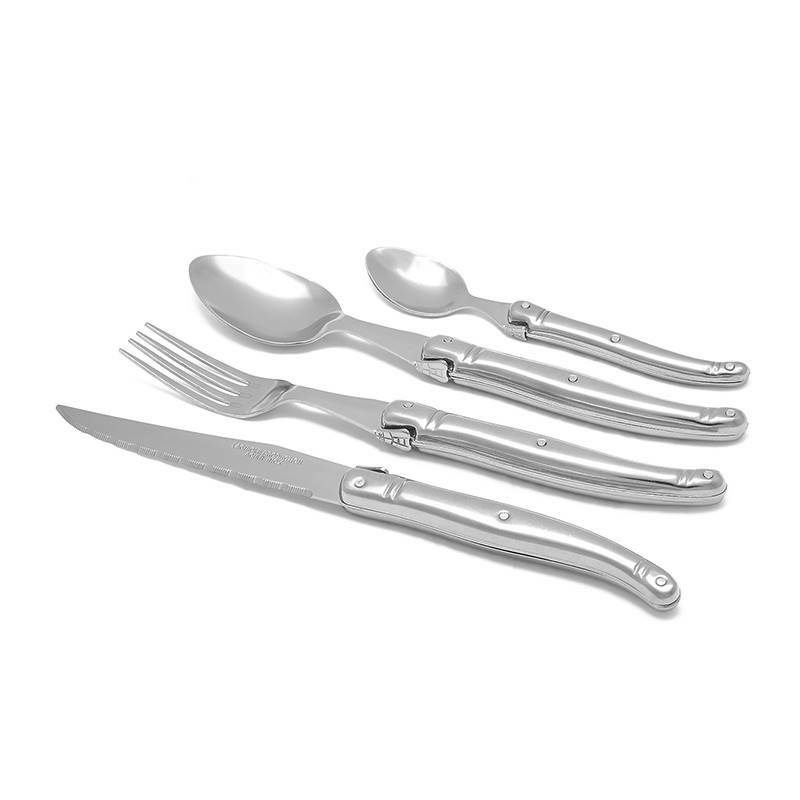 Very resistant, this stainless steel cutlery set with traditional design is signed Lisa d’Alban and is dishwasher safe.